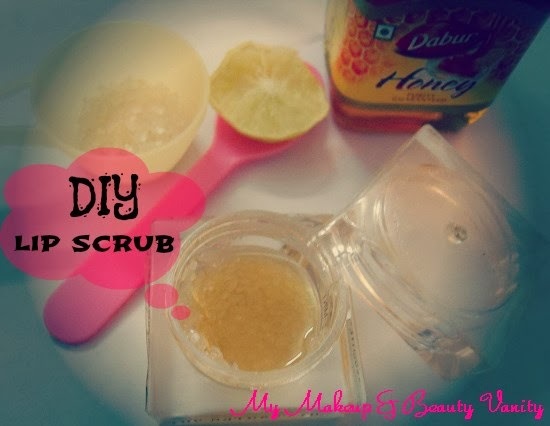 My Makeup and Beauty Vanity: D.I.Y- LIP SCRUB for Soft, Luscious Lips! The above collage is quite explanatory, it takes hardly a min to make! We can store this in fridge for a week. If you have excessive dry lips you can add few drops of olive oil for extra moisture. After scrubbing apply a thick layer of lip balm and voila you will have super soft lips. great diy riya...thanks for sharing sweetie..would love to try.. I did this inthe morning..:D :D ..dittoo!! 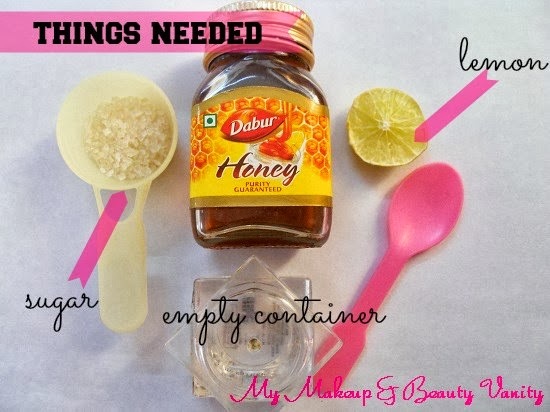 Nice DIY...I do use sugar & honey as Lip a lip scrub! works excellently all the time! I have a question.. do you use crystal sugar as is? Or do you grind it a bit coarsely? I'm going to try it.. I tried it yesterday night ... Yummmm ...:tup .. it is so awesome .. I added a bit of almond oil to the mixture as i have super dry flaky lips .. \m/ babe .. thanks <3 !!! Ooh I love the idea of including lime juice! 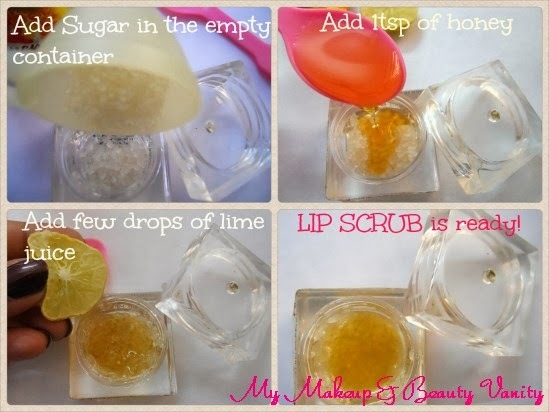 I have a Lush lip scrub that I'm trying to use up atm but I'm definitely planning to make my own once I've finished it :) Great post! Loved the DIY and Im definitely trying this! I usually pick up the sugar cubes, they crush easily to fin powder and give nice scrubbing action. My daughters lips are so dry and peel and she never remembers to moisturize them unless I remind her. Maybe if we make this together I can get her in the habit of exfoliating! Thanks for the great "recipe". Awesome DIY! Doing this right now! WOW its so simple ! i will surely try this lip scrub! Now i wanna know where did you get the jar from ? Awesome, have been doing this! Very effective!